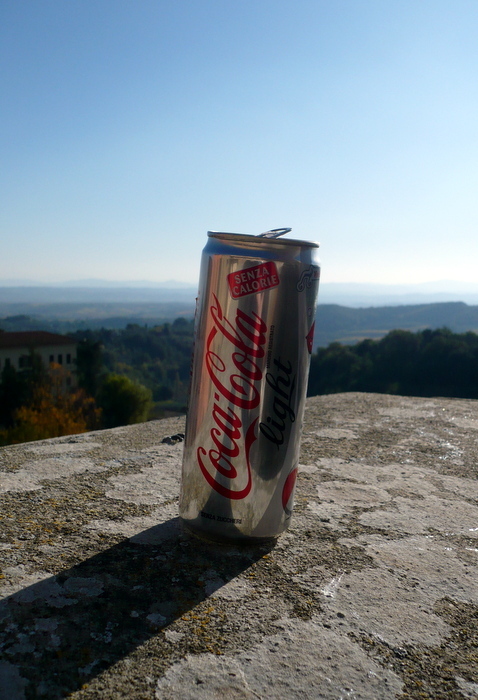 Something I thought was entertaining in Italy- their diet (or light as they call it) Cokes even sported skinnier cans. Sure, maybe all their sodas featured a more slender can than we’re accustomed to in the States, this just happened to be the only soda I remember drinking in Italy. Who drinks soda in Tuscany after all?! Vino baby.